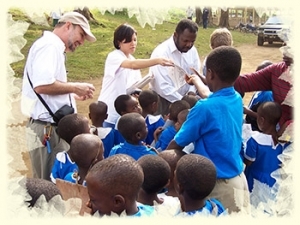 In the early 2000’s, a group of concerned Cameroonians led by Mr. Ernest EHABE (Social entrepreneur) and Dr. Daniel Shu (eminent Medical Doctor) began discussing the need for an indigenous humanitarian organization that would address the issues of poverty, hunger, unemployment and other plights plaguing common folks in local communities in Cameroon. By 2003-2004, they began to walk the talk by taking some initiative in the area of humanitarian assistance to individuals and entire communities. 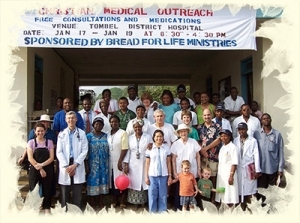 It is within this framework that the aforementioned group of persons partnered with some doctors and nurses from the US and England to organize a medical outreach in Cameroon in 2004. 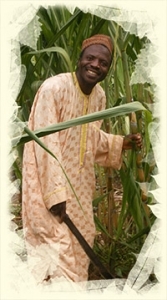 In 2005, Mr. Ehabe, together with Dr. Shu and other Cameroonians with a shared goal to enhance local community development through awareness and innovative action, came together to form an organization that will enable them achieve their goal and change the face of local communities. Community Awareness & Development Association Cameroon (CADAC) was officially born in 2005. From inception, CADAC has been actively involved in local community development, economic empowerment, capacity building through a number of initiatives that touch the lives of individuals and entire communities. Through medical and agricultural outreaches in various communities across Cameroon, CADAC has provided free medical consultations and drugs to over 10,000 people and tools to dozens of farmers. Our small business loan initiative has provided start-up capital to a number of thriving businesses with ripple effects of economic empowerment in families and communities. In partnership with the American Embassy in Yaounde, Bread for Life International, and an indigenous church (Living Word Fellowship International), CADAC helped in building a community primary school among the pygmies in Mbang in the East region in Cameroon in 2006. Today, CADAC continues to expand its activities, programs and outreaches with innovative ideas and actions geared towards engaging local communities to be at the center of their own development, rather than perpetuating dependence on Western benevolence.